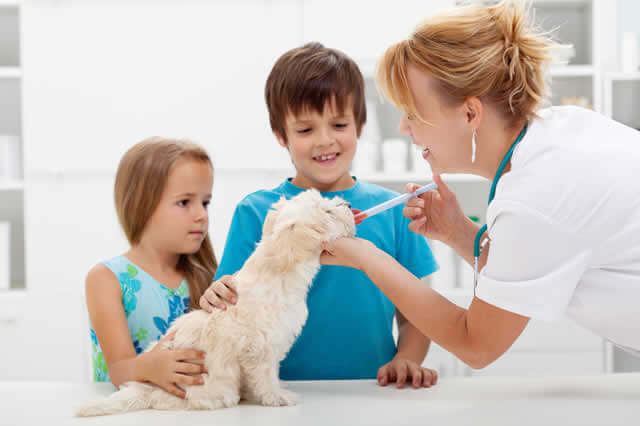 Regular worming will keep your pet parasite-free. And your children safe. Cats and dogs pick up worms from their mothers, other pets, eating slugs and snails and by coming into contact with the faeces of other animals. Local parks and areas dogs come together are particularly contaminated. There are several types of worms including roundworm, tapeworm, whipworm and hookworm. All these will cause disease ranging from weight loss to severe life-threatening diarrhoea. Roundworm, and some types of tapeworm, can be passed on to people, particularly children, and can cause disease and even blindness. Our staff will talk you through the problem and recommend products to help control theses problems. We have a wide range of drugs available to us, many that you cannot buy over the counter from shops, to help us choose the most suitable for you and your pet. In addition if you have any problems in administering these products we are more than happy to do this for you.